There have been 18 players ranked No.1 in the world since the Official World Golf Rankings were introduced in 1986. It looks like we are on the verge of the 19th player, despite the fact that he will not even be teeing it up this week at the Byron Nelson Championship. Adam Scott entered the PLAYERS Championship on Thursday needing just a tie for 16th place to leap in front of Tiger Woods as the No.1 player in the world. Scott recorded a T38 finish, well back of the finish he needed to assume the ranking. That however doesn’t appear to matter if the predictions are true. 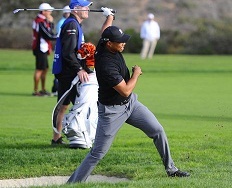 Woods has not been able to play since undergoing back surgery at the beginning of April. He missed the Masters for the first time in his career, and was unable to defend his PLAYERS Championship victory from a year ago. Woods has been the No.1 player in the world for more weeks than any other player, and will get one more week before Scott likely assumes the throne. There were four players in total who had the chance to the top of the golfing ladder at the PLAYERS Championship. They were Scott, Matt Kuchar, Bubba Watson, and Henrik Stenson. Kuchar is the only player of the four teeing it up this week at the Byron Nelson Championship, but even with a win he wouldn’t take over the top spot this week. A decade ago, it looked like Scott would eventually become the No.1 player in the world, or at the very least the biggest challenger to Woods. After years of underachieving, Scott is back on top and is one of the most consistent players in the world. That play resulted in a victory at the Masters in 2013, his first Major Championship win. Scott has arguably the best swing in golf. It’s certainly the most appealing visually. It’s been the putting that has held Scott back. Of course, come next year he will not be able to use his current anchored putter. He has yet to change however. Woods is still sidelined and likely won’t be back before the U.S. Open. The more likely scenario is a return for the British Open and PGA Championship. If he can’t return by then he likely wouldn’t qualify statistically for the FedEx Cup Playoffs. Effectively, Woods’ season would be done. Scott will likely carry the No.1 ranking into the U.S. Open from Pinehurst, where he will be tabbed as a favorite to win. This entry was posted in News and tagged adam scott, tiger woods, world golf rankings on May 13, 2014 by Bryan. Will Jordan Spieth Win A Major In 2014? 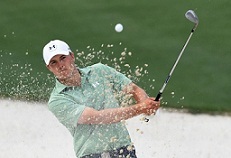 Those in the golf arena knew who Jordan Spieth was before the 2014 Masters. Now, the rest of the world does. Spieth, who finished runner-up to Bubba Watson a few days ago, will be a headliner in whatever tournament he plays in for about the next year at least. And if he continues to have more success, he could be the next big thing in golf in America. At the start of the front-nine on Sunday, it looked like Spieth could be the one wearing the green jacket at the end of the day. But a four-shot swing in two holes to close out the front nine shut the door on that. Still, Spieth gained a lot of followers on Sunday. He is only 20 years old, has a win on the PGA Tour at 19 years old, and played in the Presidents Cup last year. Going forward for the marquee events like the PLAYERS Championship, U.S. Open, and the other two Majors, Spieth will be a favorite to win. The biggest question will be how Spieth responds to the disappointment of losing the Masters. He won’t get much time to dwell on it, as he teed it up this week in South Carolina at the RBC Heritage. Spieth is paired with 2014 Ryder Cup Captain Tom Watson, matching the Youngest player and oldest player in the field. Spieth has all the makings of being a superstar. He doesn’t hit the ball very far, but he is polished. Of course, any player on tour could look like a short hitter compared to teeing off with Bubba Watson. There were times where Spieth was 50-70 yards behind the now two-time Masters Champion. And Spieth finishing second isn’t the only big story as far as how they respond. There is plenty on Bubba Watson. 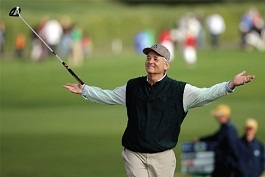 The last time he won the Masters he went into a virtual slump. He finally won again two months ago in California, his first since the Masters win in 2012. Watson admitted that he is more prepared to play other tournaments as a Masters winner, and we can look forward to him contending in the Majors. Don’t be surprised to see Spieth and Watson in contention for the U.S. Open, British Open, and the PGA Championship. If Spieth performs well, he can help golf fans through the absence of Tiger Woods, whose return to golf following back surgery is still to be determined. This entry was posted in Opinion and tagged 2014 masters, bubba watson, jordan spieth on April 18, 2014 by Bryan. That’s one of the acronyms that’s been attached to golf in times when the issue of men and women have come into play over the past. First is was Augusta National, which received plenty of attention for not allowing women members. Then they admitted Condoleezza Rice as the first female member ever. Now, the R&A (Royal & Ancient), the governing body of golf in Europe has asked for a potential vote in September to allow female members. 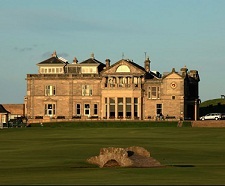 St. Andrews, where the R&A is based, is considered the home of golf and has a very historic significant within the game. This vote could be huge in terms of growing the games for women over in Europe and as well as elsewhere around the world. The current members of the R&A are being asked to support the proposition set forward by it. While it seems rather crazy that in this day and age people are still not admitted based on gender, the fact of the matter is that golf clubs around the world still have a strict policy. Even in the United States, there are golf clubs that do not permit women on the grounds of the club. Augusta received a lot of attention because the golf course is home to the Masters. But there arem any where PGA Tour events are not held that invoke the same policy of male membership only. If golf wants to continue to move forward, decisions like the one made the R&A are very important. You would think that governing bodies want to make the game as accessible as possible to all. 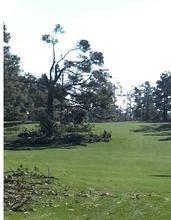 Of course, there are other issues affecting golf that is hindering its growth. Such issues include the length of a round and how much it costs to play the game. Golf remains a very expensive sport to play, which automatically limits those that will have the capability to play. And let’s not forget that the game is extremely difficult to play as it is. Adding things like this would tend to decrease those numbers. The R&A has certainly made the right decision to move this to a vote and try to open up the membership base. This could be the start of something great, and come July at the British Open there should be plenty of support for it. This entry was posted in Opinion and tagged royal & ancient, st andrews on March 28, 2014 by Bryan.